Really turning his hand to directive duties in recent months with some brilliant films, frontman Jonathan Higgs' continual efforts have seen the band's recordings come to life in wondrous ways. 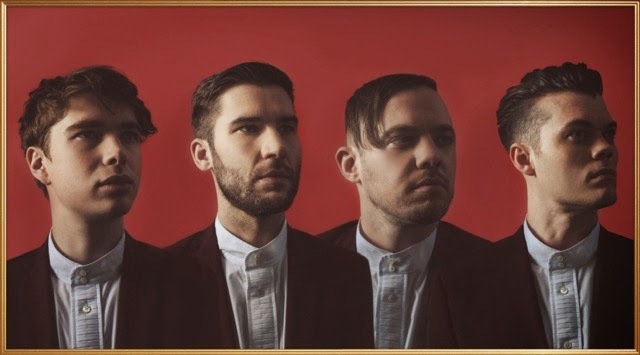 Following on from the Manchester-based quartet announcing their new single Regret last month, Everything Everything now return with another pristine visual accompaniment. "The video for 'Regret' is a display of power; a charlatan and his followers descend into madness and chaos" explains Higgs. "I wanted to show people in the throes of ecstasy and pain, finding something strong in their faith, and becoming more and more extreme in their emotions and behaviour. It's supposed to be a look into the minds of extremists and what if feels like to really believe something, regardless of how deep or dark it goes". Take a watch below of the beautifully captured clip as some strange goings-on come to light amongst an all worshipping cult.